The construction of the project was completed in just ten months by KMC Contracting. The project has been successfully completed on time and on budget. The project represents Foreign Direct Investment (FDI) into the Kingdom of Bahrain and it serves as a strong vote of confidence in the national economy which recently posted a real GDP growth rate of 5.3%. The Mazaya Logistics park is situated adjacent to the Khalifa bin Salman Port with easy access to all other major transport links in Bahrain. 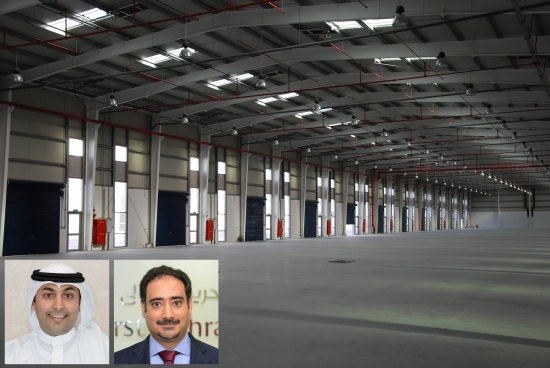 The facility now offers over 140,000 square feet of secure, flexible and cost effective industrial facilities, supporting a broad range of business activities. These convenient and high-quality industrial facilities will be complemented with array of services that include 24 hours a day, seven days a week security, state-of-the-art information communication technology provisions, assistance on efficient design and use of spaces available from as little as 2,700 square feet to as much as 10,700 square feet.